People on a low carb diet have plenty of choice when it comes to fruit varieties. 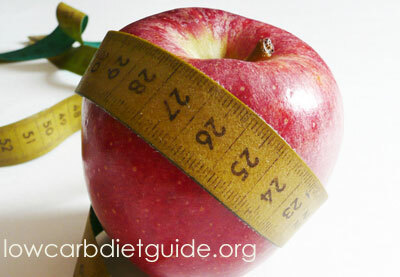 The diet includes fruits that are low in carbohydrates and sugar and high in nutritional value. Such fruits are cranberries, blueberries, raspberries, papaya, and rhubarb. Cranberries have many proven health benefits and protect the body against yeast infection and heart disease. Research funded by the National Institute of Health presently investigates the effect of cranberries on viral infections, stroke, and cancer. Cranberries also contain antioxidants which fight free radicals. They have cancer-preventing, anti-inflammatory, and antioxidant properties. A number of studies have indicated that cranberries protect the liver and the cardiovascular system. They can prevent urinary infections and destroy bacteria that cause stomach ulcers and cancer. There are plenty of health benefits to eating blackberries. This fruit is low in carbohydrates and sugar and contains large amounts of antioxidants. Antioxidants reduce the risk of developing breast cancer and cervical cancer in women and help to maintain the bones strong. Blackberries are packed with anthocyanins which reduce the risk for high blood pressure and boost memory retention. In addition, blackberries are loaded with vitamin C, tannin, and fiber. An adequate supply of vitamin C is required to maintain a strong immune system. Vitamin C protects the body from different infections and helps reduce symptoms such as coughing, runny nose, and sore throat. Vitamin C protects the heart by preventing cardiovascular diseases and hypertension. Blackberries also contain tannin which helps cuts to heal faster by increasing blood coagulation. It helps maintain healthy blood vessels and prevents tooth decay. Blackberries contain large amounts of fiber as well. Fiber prevents intestinal inflammation, diarrhea, and other digestive problems. Fiber regulates blood sugar and reduces the risk for colon cancer and breast cancer. Raspberries are also low in sugar and carbs and have antioxidant properties. They are loaded with fiber, vitamins, and ellagic acid. This compound prevents the development of some types of cancer by inhibiting the growth of cancerous cells. Raspberries also contain gallic acid, quercetin, vitamin C, and other powerful antioxidants. The fruit is packed with manganese and fiber, which helps to burn fat faster. Manganese maintains fast metabolic rate while fiber slows down digestion, making dieters feel full. This helps dieters to lose weight faster. Rhubarb is another fruit that fits into a low carb diet. Half a cup of rhubarb contains 13 calories and less than 2 grams of carbohydrate. This fruit contains large amounts of vitamin C, vitamin K, and calcium. It is low in saturated fat and sodium and helps prevent the development of heart disease. Papaya and guava are two fruits with a relatively low amount of carbohydrates. Papaya is not only a good choice when on a low carb diet but has many health benefits. This fruit contains the enzymes chymopapain and papain which transform proteins into amino acids and improve the work of the digestive system. Papaya is a good source of potassium, folate, and vitamin A and C. The fruit contains large amounts of flavonoids and other phytonutrients, which reduce the risk of developing cardiovascular disease and protect the cells from free radicals. Eating papaya helps to prevent the oxidation of cholesterol and has a beneficial effect on conditions such as heart disease, heart attack, stroke, and atherosclerosis. Guava is a low carb fruit that contains 6.5 grams of carbohydrate per 100 grams. Guavas are a great source of copper, magnesium, potassium, and vitamin C. The fruit is high in folate, vitamin A, and vitamin C and contains phyto-nutrients that protect the body against cardiovascular disease. Guavas contain stringents that have antibacterial and disinfectant properties and inhibit bacterial growth. Potassium, carotenoids, and vitamin C in guava disinfect and improve the functioning of the digestive system. The fruit is rich in dietary fiber and helps to clean the excretory system and the intestines. It is a great addition to a low carb diet and reduces blood pressure and cholesterol. Guava makes dieters feel full as it is rich in minerals, protein, vitamins, and fiber.